O+ Crunch is now official for Php 2,895. The company is positioning this handset in the entry-level department and it looks like it's worth a second look. 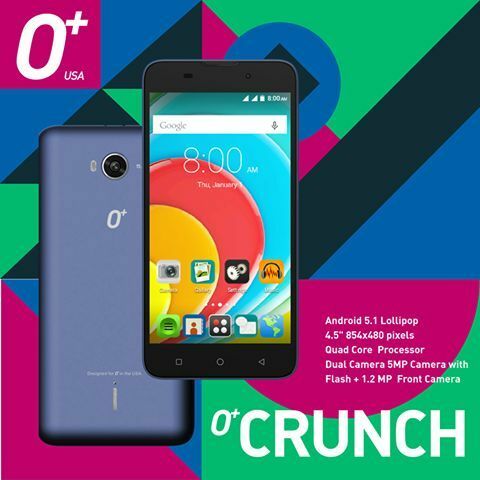 O+ USA debuts the O+ Crunch as one of its most affordable smartphones. For a Php 2,895 price tag, the handset sports a good set of features. The company is positioning the device for “starters” in the Android platform. The O+ Crunch packs a generous screen real estate with its 4.5-inch FWVGA display. The size and the resolution give a 218 ppi pixel density. Under the hood, the handset ticks with 1.2GHz quad-core processor coupled by a gigabyte of RAM for multitasking activities. The smartphone will have 8GB of internal memory, expandable up to 32GB via microSD. Just like its previously-released smartphones, O+ will also bundle an 8GB SanDisk memory card. There’s also 5MP rear camera and 1.2MP front-facing camera. This 3G handset boots with Android 5.1 Lollipop. The handset will also be powered by 1800 mAh battery giving it a decent mileage off the wall outlet. O+ Crunch is now available in all O+ Kiosk and Concept stores nationwide.